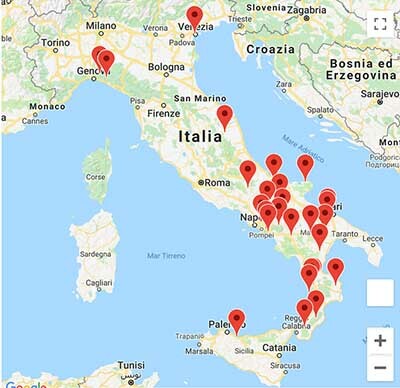 On this map we highlighted towns and villages where our genealogists started to research in 2019 following the requests of our customers. Click on the Google marker to read the name of the exact town where our experts are currently exploring local archives. Would you like to know more about your Italian ancestors ? Feel free to contact us: our network of skilled genealogists will be happy to search for you!